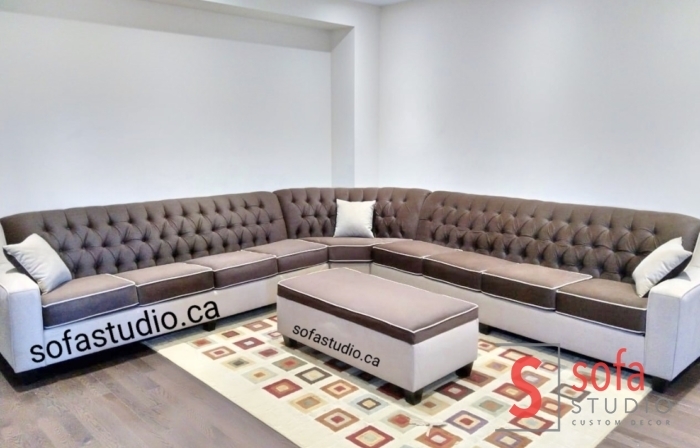 Living room Modern Custom Sofa Designs at Sofa Studio. 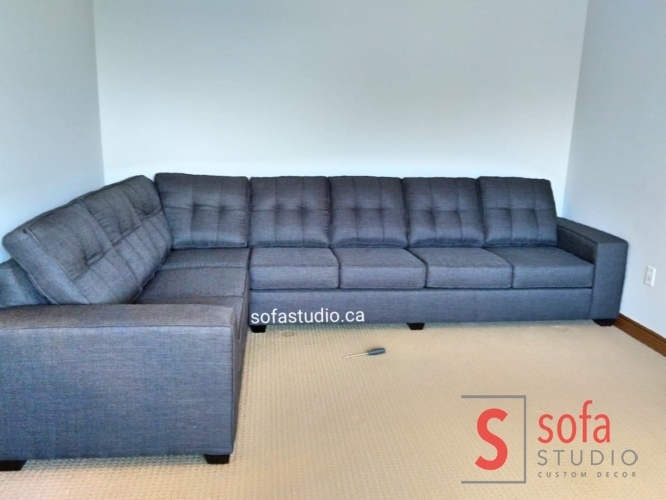 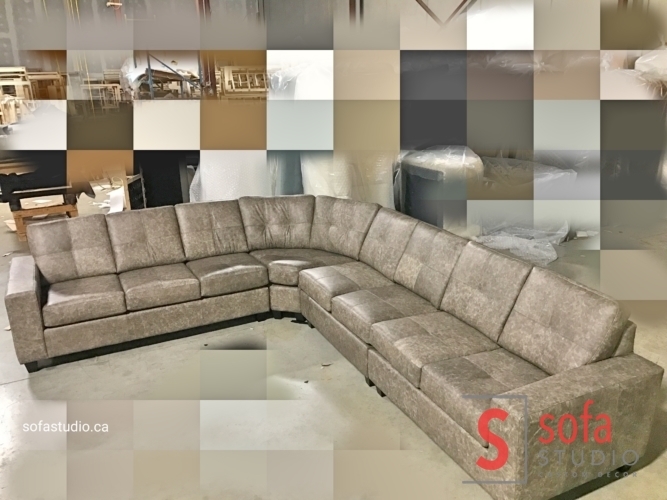 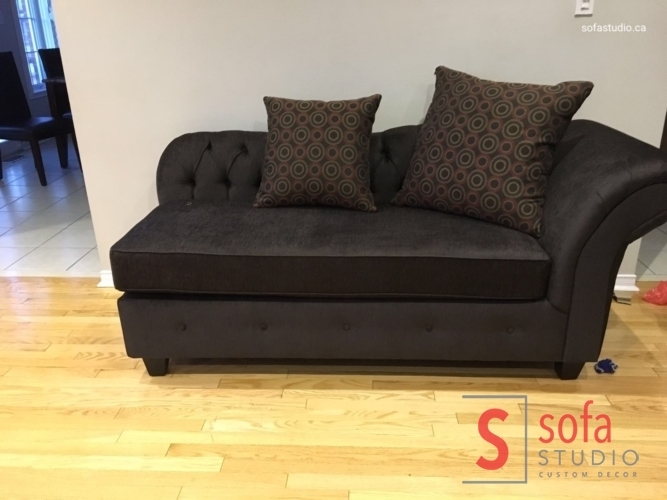 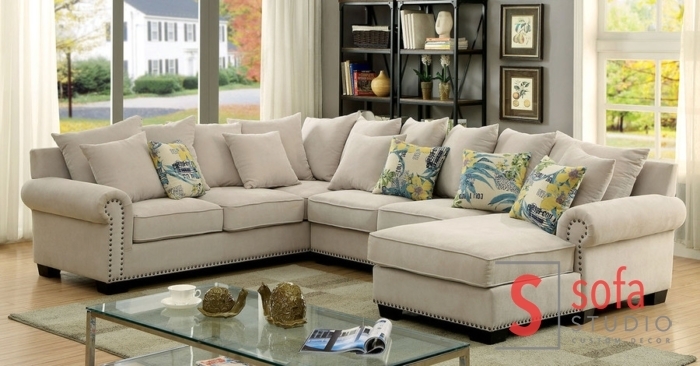 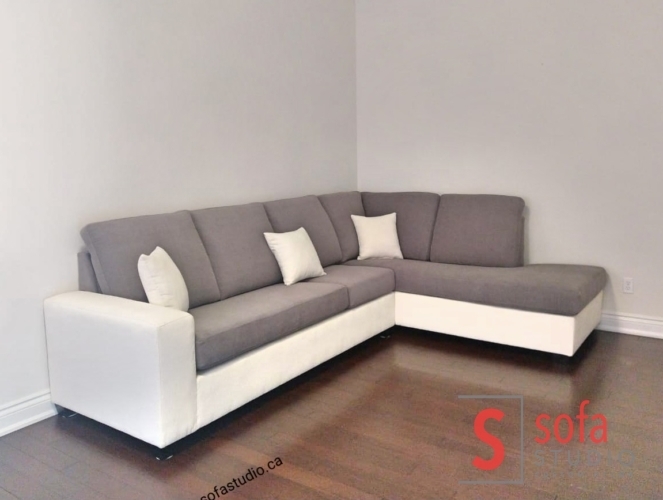 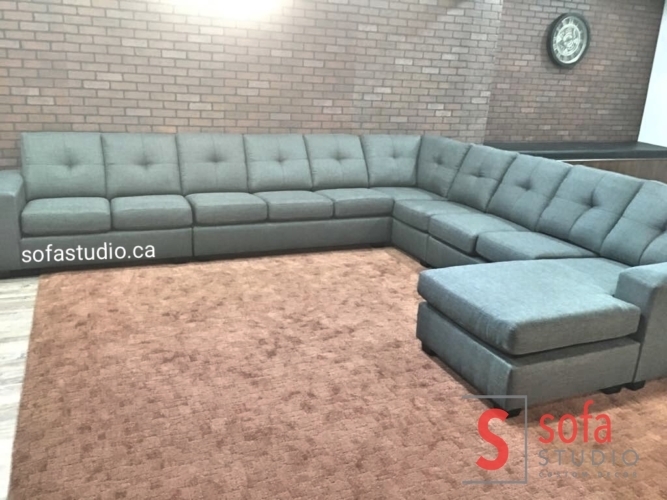 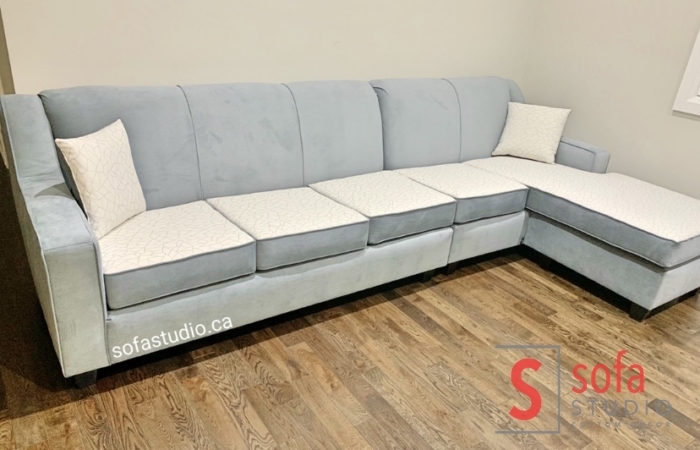 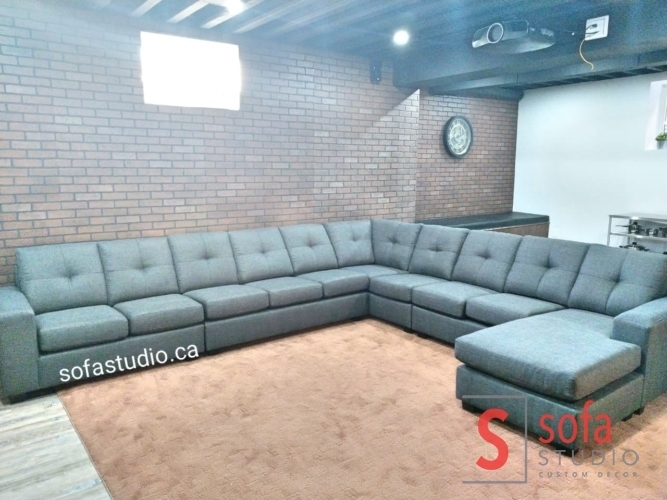 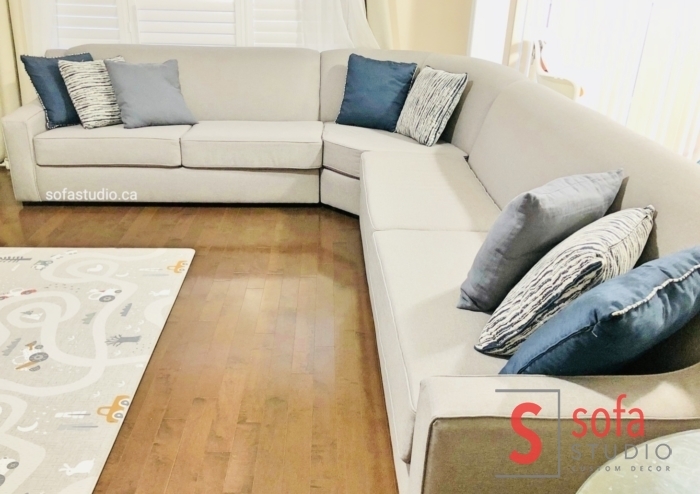 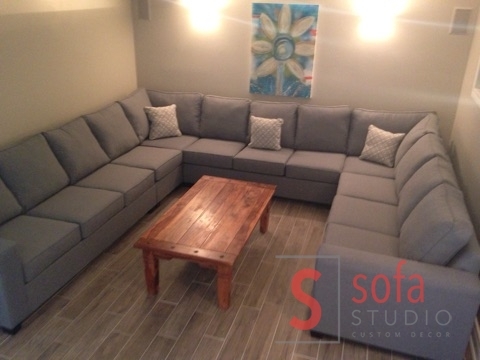 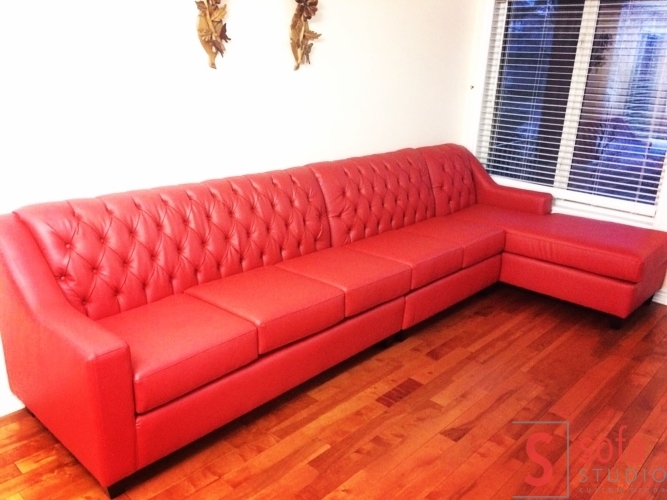 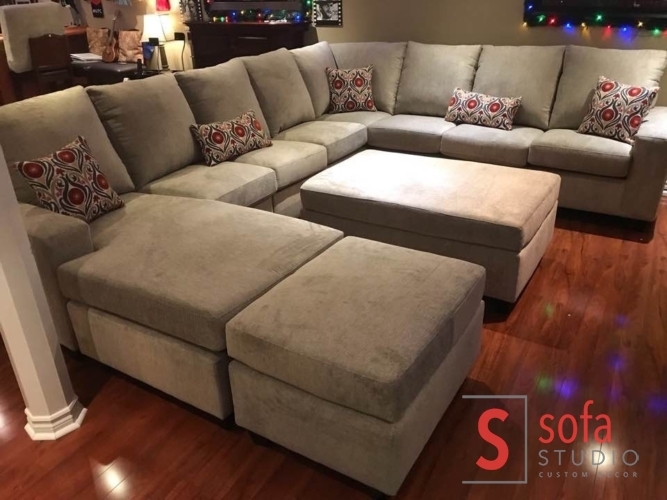 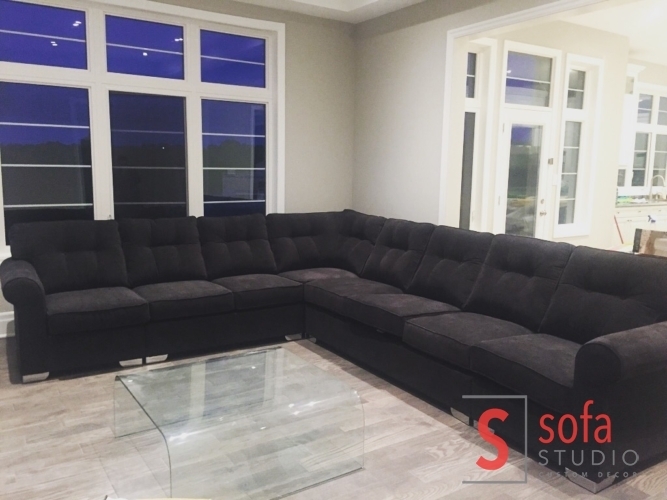 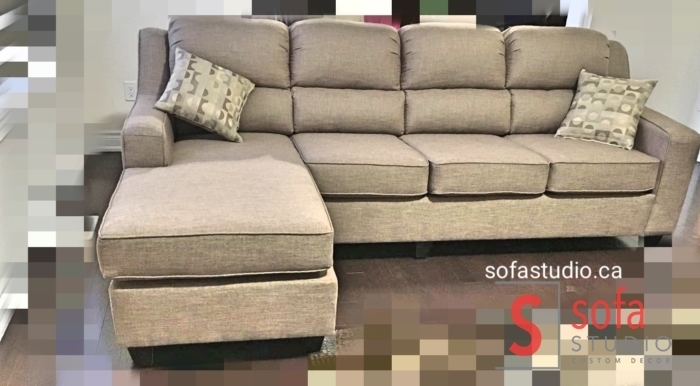 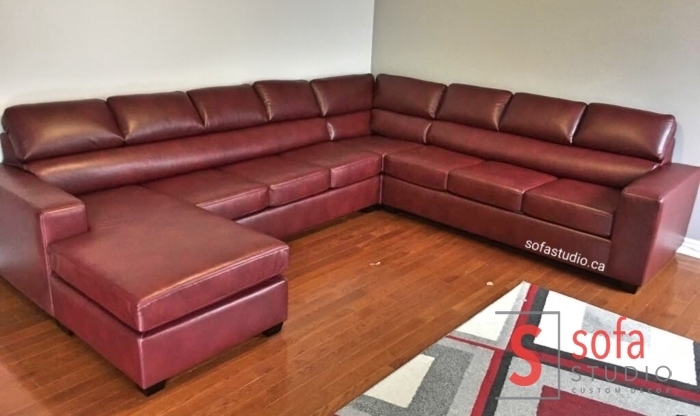 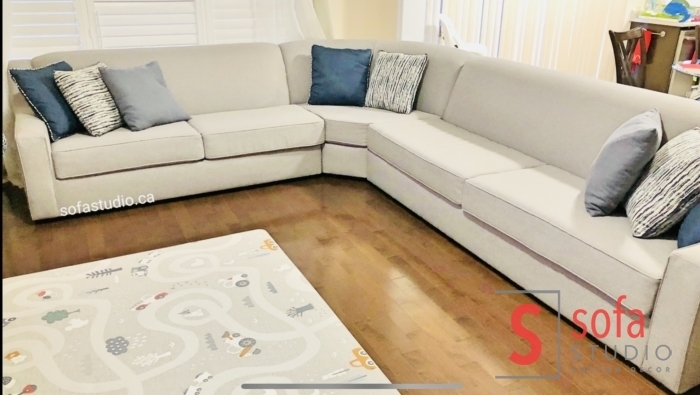 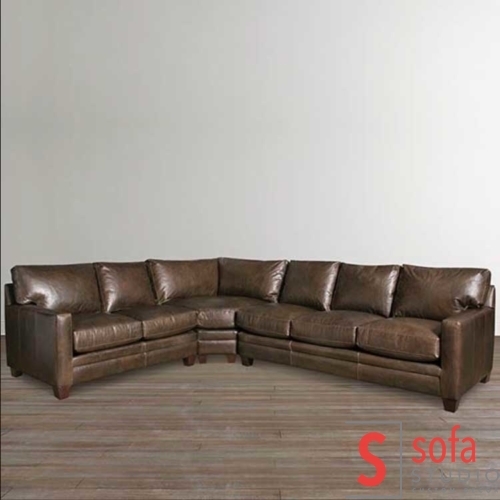 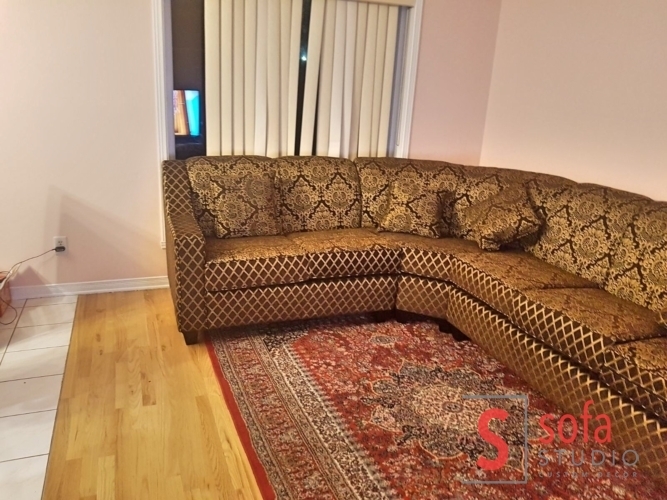 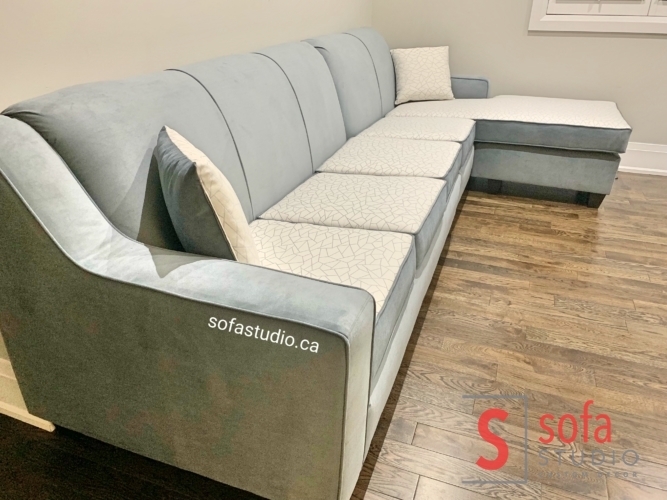 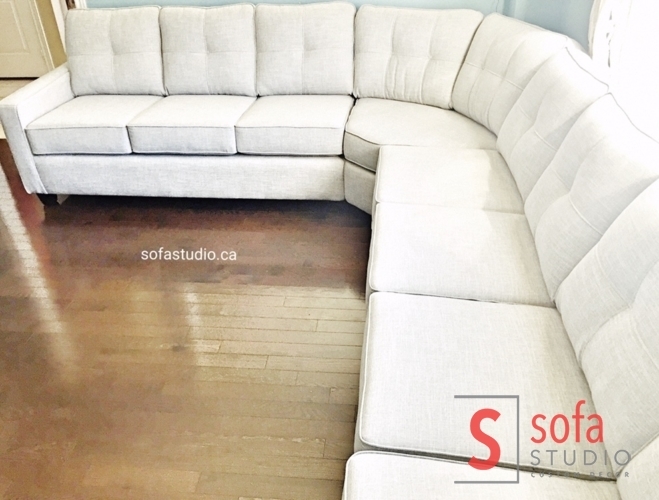 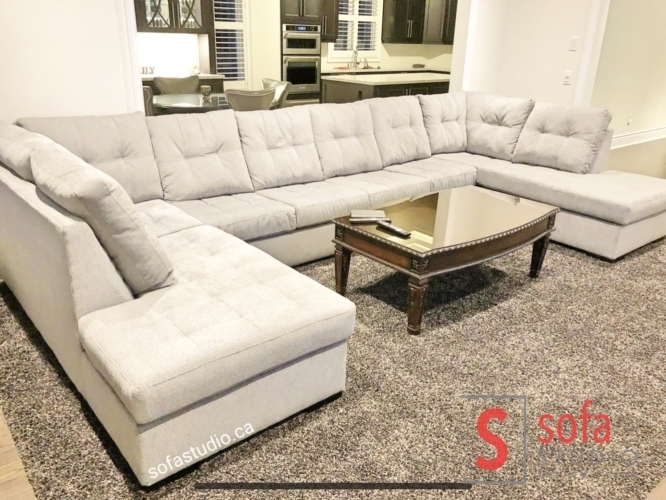 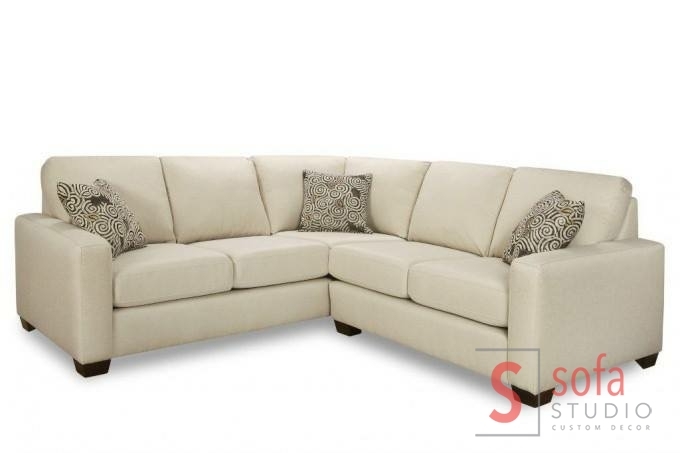 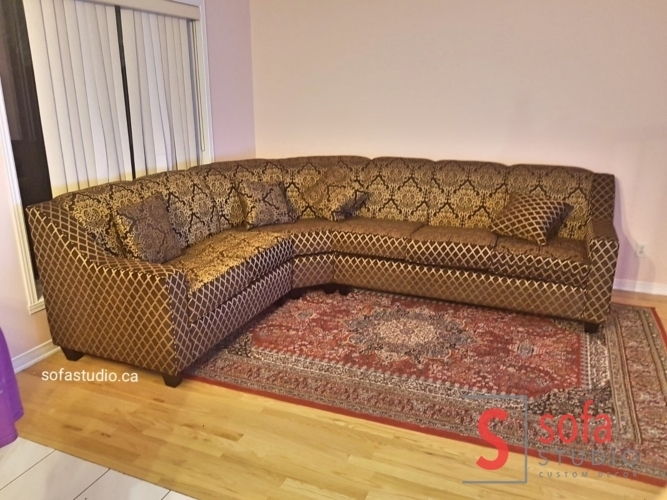 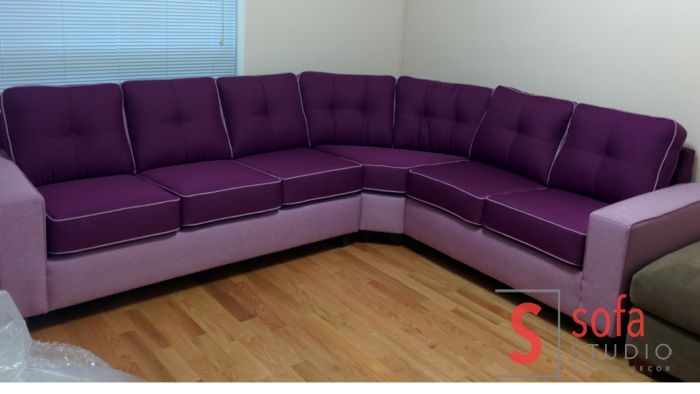 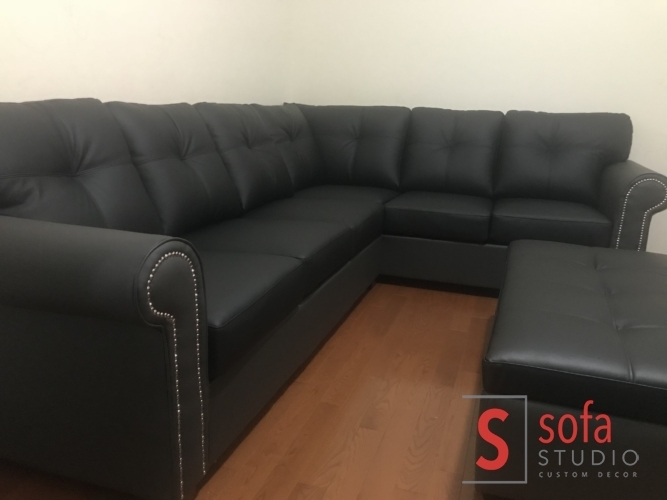 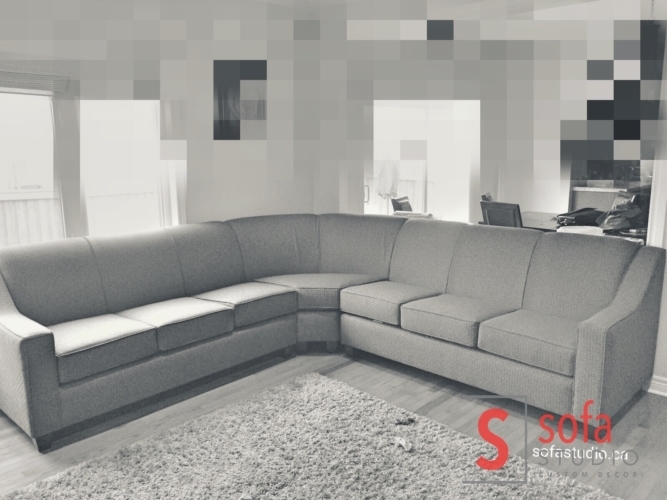 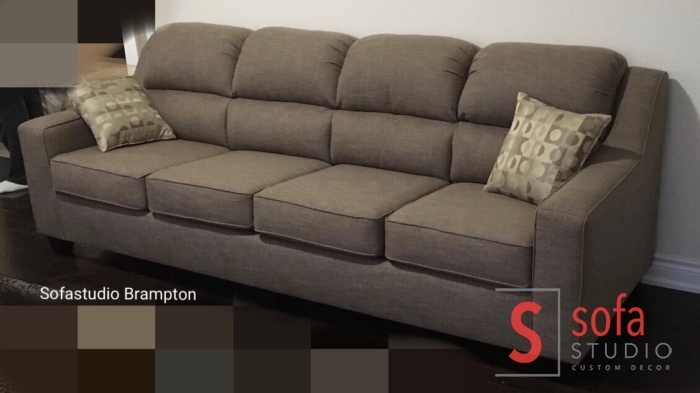 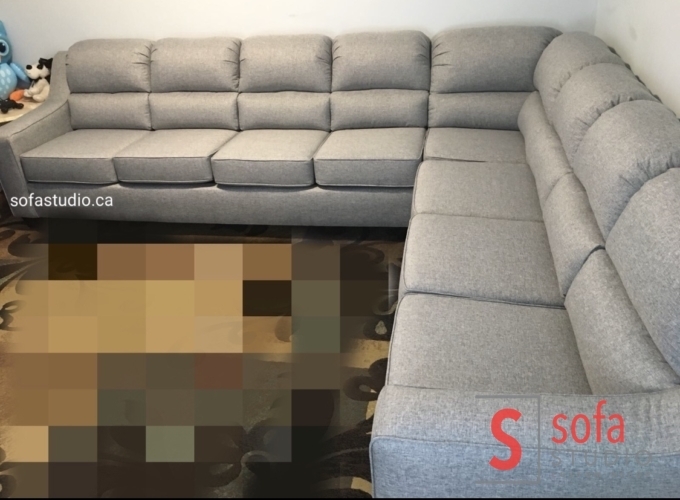 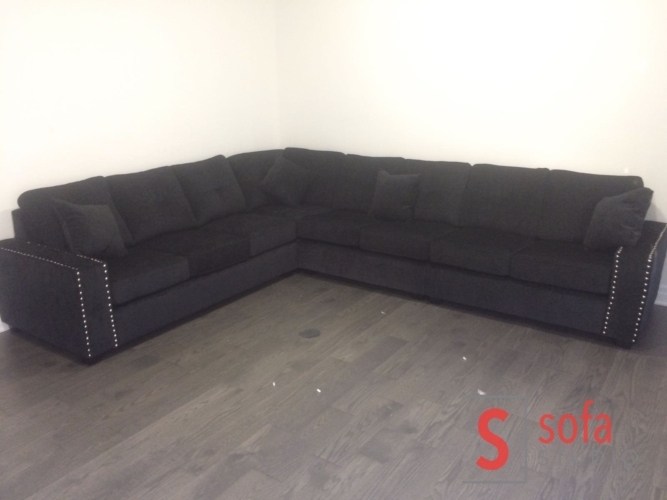 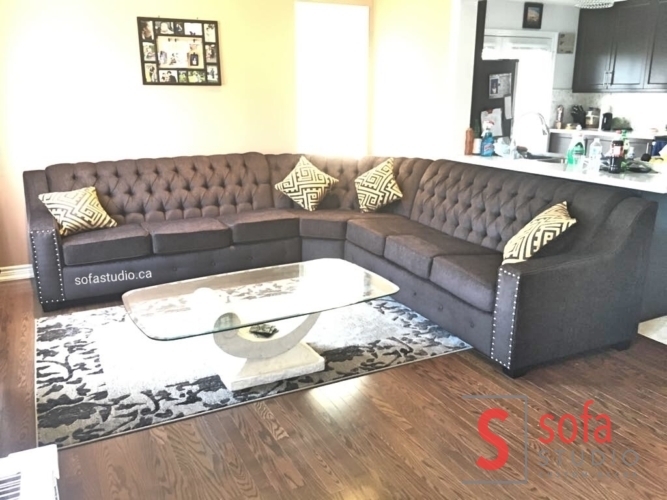 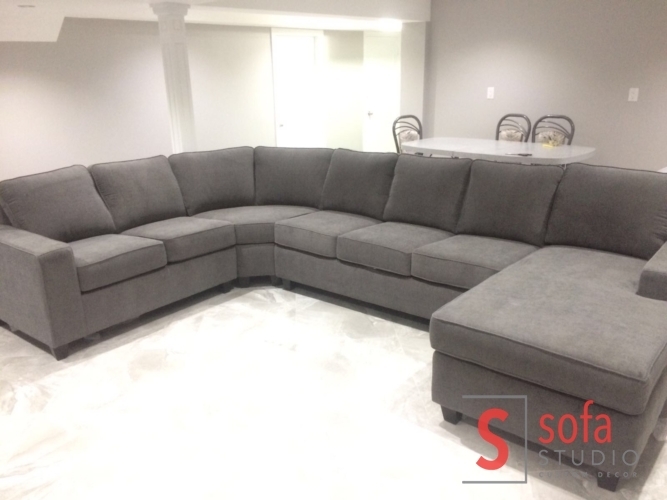 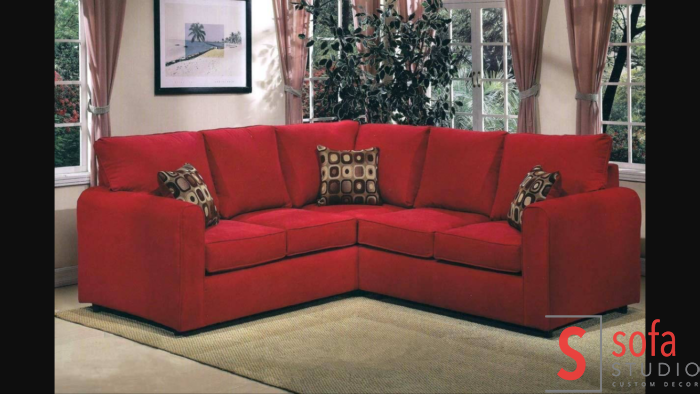 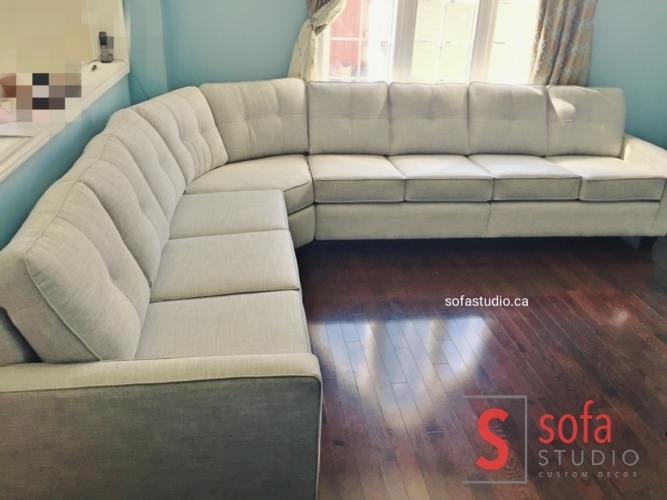 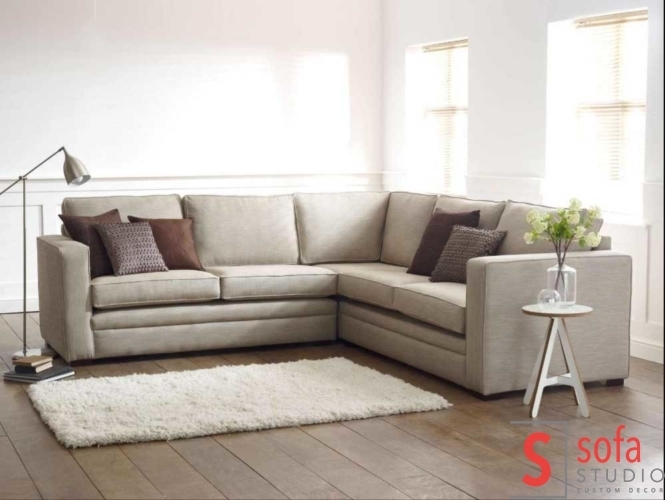 Most Modern and Comfortable Leather Sectional Sofa Designed and Made in Canada by Sofa Studio Brampton . 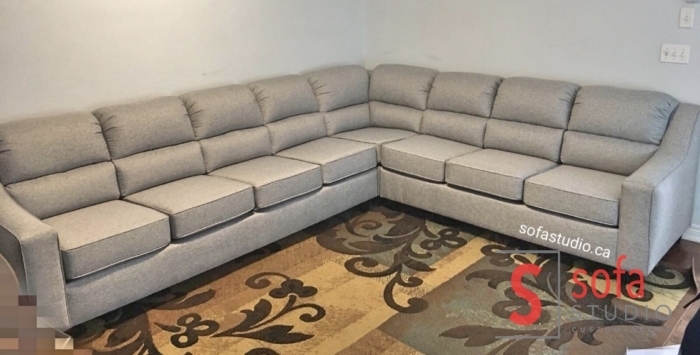 Lower Back Support for More Comfortable sittings in Family Room. 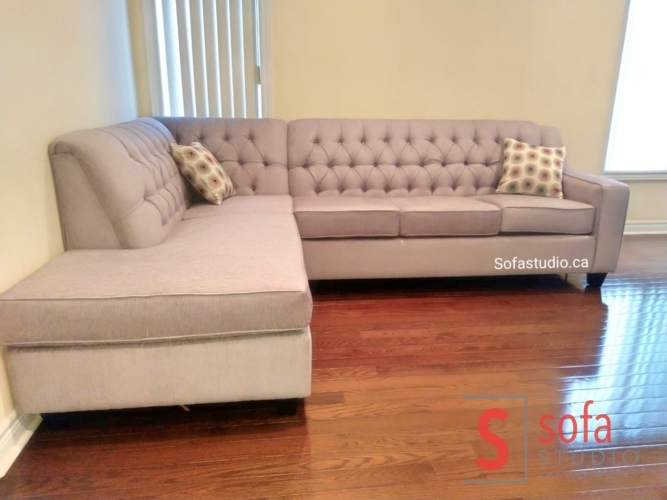 Can be Customized according to Room Measurements. 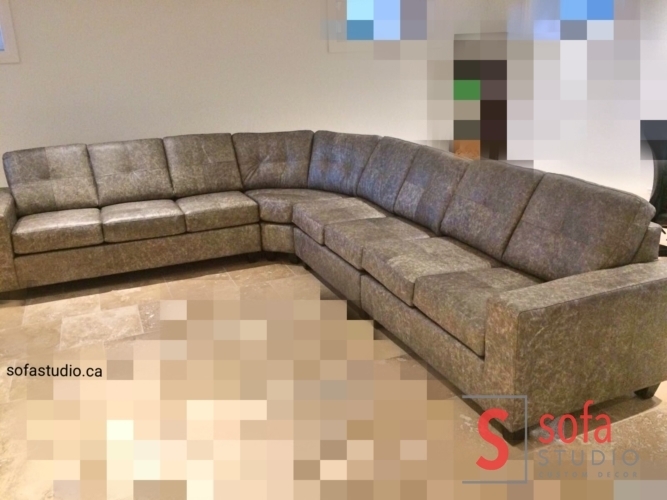 Flat Wider Arm for modern and Evergreen Look . 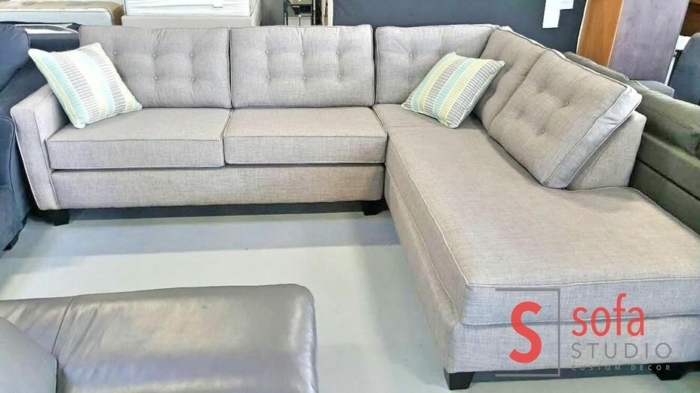 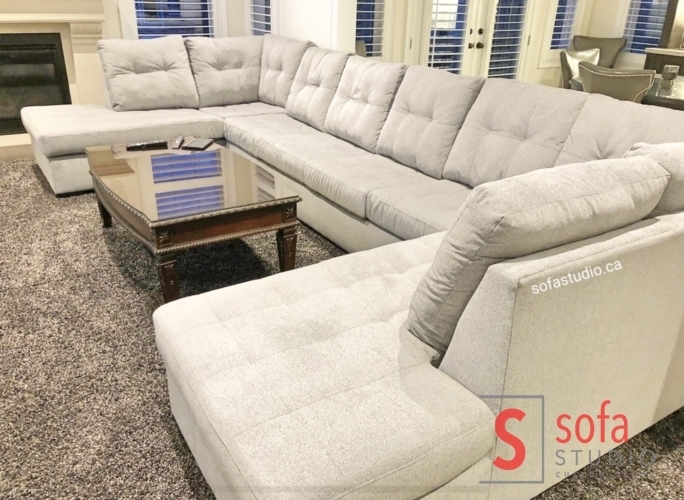 Modern Grey Color Micro Fabric Sectional Sofa.